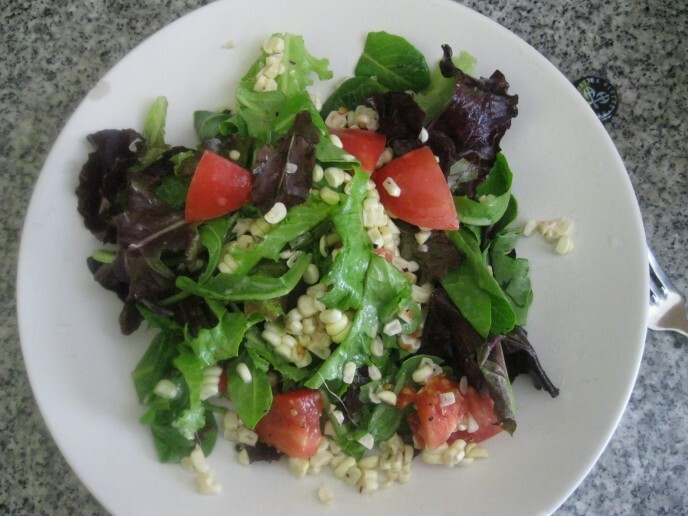 Ultra-quick and easy Summer Salad by my chef Dani | . . . . . Dominate your Gym progress with ThatGuyTaZ! ***FUN FACT*** Ya' know all those little annoying “hairs” on an ear of corn? Each “hair” is attached to ONE single kernel of corn which sticks out of the top of the ear to collect pollen. If a single “hair” doesn't get any pollen then that kernel doesn't grow.